Pulaski Park was built from 1912 to 1914 by the West Park Commission as part of the Progressive Reform Movement. The park was part of an effort to expand neighborhood parks into the dense, overcrowded, immigrant working class neighborhoods of the west side and to provide these tenement districts with social services such as public pools, libraries, playgrounds, athletics, and inexpensive hot meals. The 3.8 acre site chosen for Pulaski Park was located in a crowded, predominately Polish part of West Town made up of factories and worker's housing. Many buildings needed to be demolished to build the park and approximately 1,200 people were displaced before construction began. The park plan and landscape was designed by Jens Jensen while the field-house was designed by architect William Carbys Zimmerman. The architecture of the field-house was made to resemble an Eastern European meeting hall so that it would appear familiar to the Polish immigrant community. The field-house itself contains gyms, an auditorium, and various club rooms. 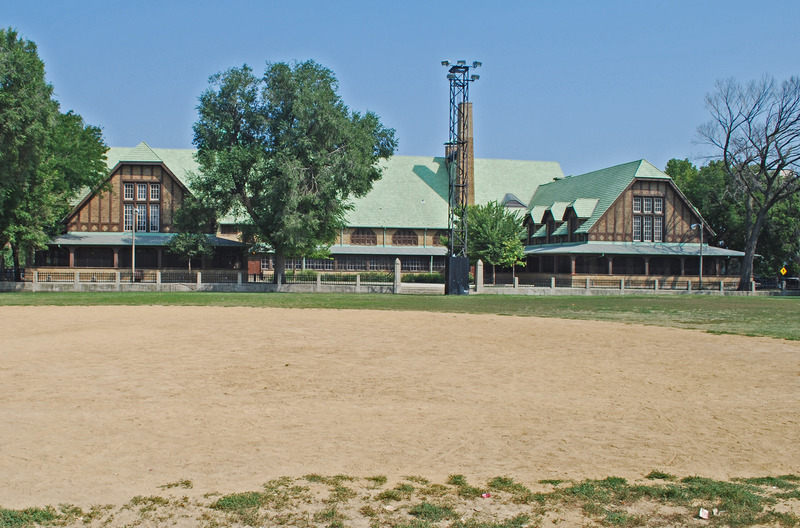 On July 29, 2003, the field-house became an official Chicago Landmark. The park is named after Casimir Pulaski (1745-1779, a Polish general who became known as the "father of the American cavalry." In the late 1760s-early 1770s Pulaski was a military commander of the Bar Confederation, a faction of Polish nobles who formed an alliance against growing Russian influence over the Polish-Lithuanian Commonwealth and the pro-Russian policies of King Stanislaw August Poniatowski and the Polish-Lithuanian government. After the failure of the uprising in Poland, Pulaski fled to France where he was recruited by Lafayette and Benjamin Franklin to fight for the American Revolution. Pulaski was eventually promoted to brigadier general of the American cavalry by George Washington and became famous for carrying out vital reforms to the Continental Army's fledgling cavalry. Pulaski was killed during the Siege of Savannah in 1779 while commanding the whole French and American cavalry, forever becoming a Polish-American hero.